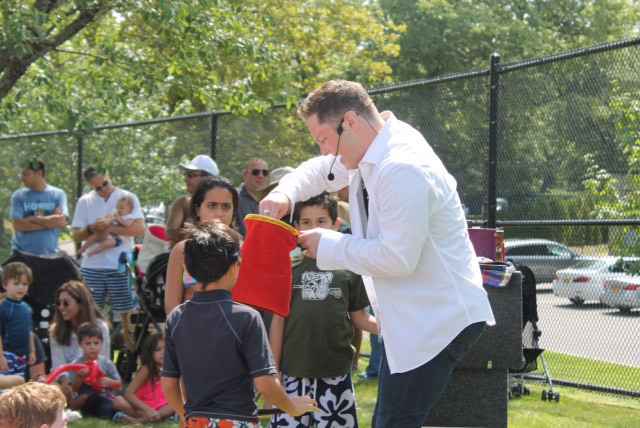 Village of East Hills > Headline News > Kids in the Park > Spectacular End of Summer Carnival! Spectacular End of Summer Carnival! 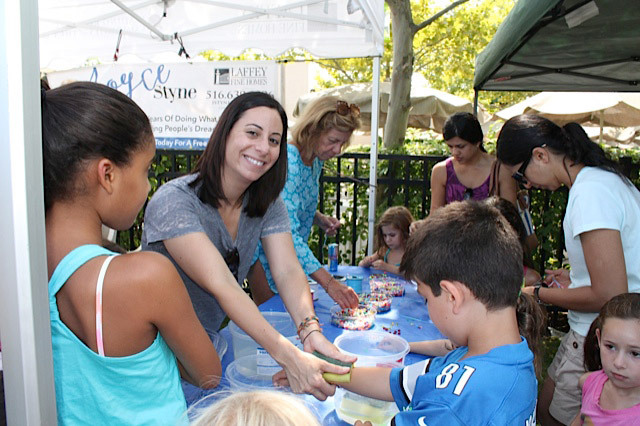 East Hills celebrated its “End of Summer Carnival” in grand style. The event on August 29, 2015 capped-off a highly successful 2015 summer season. During the day at poolside the children enjoyed carnival games, inflatable houses, face painting, giveaways and music. Many of the children had just returned from sleep-away camp and were excited to join their family and friends. L-R: Trustee Brian Meyerson, Town of North Hempstead Councilman Peter Zuckerman, Deputy Mayor Manny Zuckerman, Trustee Clara Pomerantz and Trustee and event coordinator Stacey Seigel. The Kids in the Park Officers and Members include: Chair Robyn Brattner, Vice Chair Alethea Shapiro, Celia Ayenesazan, Shari Edelstein, Risa Eshaghian, Rachel Fernbach, Tracey Fiddle, Jodi Golden, Brett Goldman, Elyse Sentner & Ellie Tulumba. The Supervising Trustees include: Deputy Mayor Manny Zuckerman, Trustee Clara Pomerantz & Trustee Stacey Siegel.